Dr. Routkevitch is recognized as one of the world’s leading experts in self-organized nanoceramics and is a creative scientist, experienced technical leader and entrepreneur with over 20 years of successful experience commercializing a broad range of advanced technologies. In addition to InRedox, Dr. Routkevitch also co-founded and served as Chief Scientific Officer for Covitect Inc., focused on developing tools for synthetic biology. Prior to founding InRedox and Covitect, Dr. Routkevitch held senior technology, product and business management positions at two start-ups, launching many successful products and generating a broad IP portfolio. A frequent reviewer for the National Science Foundation, Dr. Routkevitch has served as Principal Investigator on numerous projects for government agencies and commercial customers and has given many invited talks around the world. Dr. Routkevitch’s work with self-organized nanoceramics dates back to the mid 1990’s, when as a NATO post-doctoral fellow with the Moscovits group at the University of Toronto he co-authored pioneering papers on nanoporous anodic aluminum oxide. Dr. Routkevitch holds a Ph.D. in Physical Chemistry from the State University of Belarus. Before joining InRedox full time, Mr. Carpenter spent 9 years at Hach Company, the $1B+ (sales) provider of sensor, instrumentation and chemistry products, which is a division of the global science and technology conglomerate Danaher Corp. 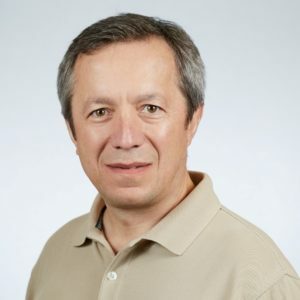 He served in a series of leadership roles including product development, product innovation and technology licensing, engineering management, product commercialization, and business unit management. He led many product development projects from idea stage to launch, and guided Hach’s fastest growing business unit for 3 consecutive years. Prior to that, Mr. Carpenter spent 3 years in management and corporate development roles at Invitrogen, the $1B+ life science and molecular biology tools company. Early in his career, Mr. Carpenter worked in a variety of scientific and engineering positions, including collaborating with InRedox co-founder Dr. Routkevitch at Nanomaterials Research Corporation in the late 1990s, developing novel manufacturing methodologies for Anodic Aluminum Oxide. Mr. Carpenter holds an MBA from the MIT Sloan School of Management, an MS in Chemistry from University of Washington, and a BA in Economics from Williams College. Michael H. B. Stowell, Ph.D.
Dr. Stowell is an Associate Professor of Molecular, Cellular, and Developmental Biology and Mechanical Engineering at the University of Colorado, Boulder and has authored a wide range of publications in the fields of synthetic organic chemistry, structural biology, neurobiology, and biophysics. His academic research is focused on molecular and supramolecular structures that facilitate communication between neurons at the chemical synapse and how such structures are perturbed in neurological disease. 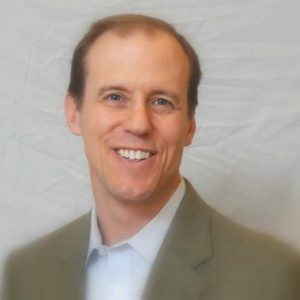 As a scientist with wide-ranging interests, Dr. Stowell is also Co-founder and Chief Technology Officer of AmideBio, which has licensed the BioPure™ technology platform he invented from the University of Colorado for rapid and economical manufacture of pure peptides. Dr. Stowell has received numerous grants and awards including the Beckman Young Investigator Award, a National Institutes of Health – EUREKA award, and a Howard Hughes Medical Institute – Collaborative Innovation Award. 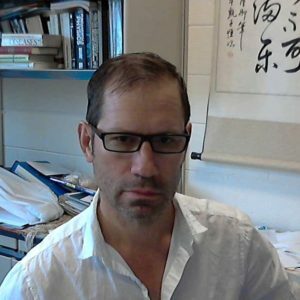 Dr. Stowell received his Ph.D. in Chemistry and Biophysics from the California Institute of Technology and was a visiting Scientist at the MRC – Laboratory of Molecular Biology (Cambridge, England) and the Biophysics Department of Kyoto University.